AIESEC is a student-driven, non-profit organization present in more than 110 countries, with more than 60,000 members and more than 10,000 exchange participants across the world. The core product of AIESEC is exchange for bridging cultural gaps across the globe, with leadership, creating global impact and others being the byproducts. The information session of AIESEC for the annual recruitment was held on 3 September 2013 at FCC. The objective for the information session was to give awareness to the students of AIESEC and what it does as an organization. 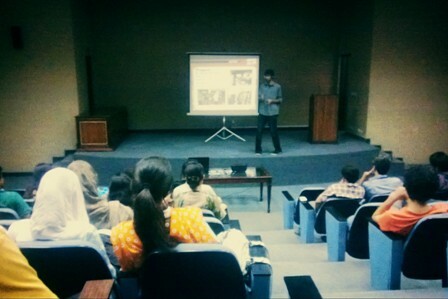 The session was held in collaboration with the MUN Society of FCC. 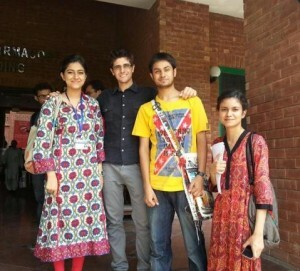 It was conducted by the AIESEC in Lahore representatives along with two exchange participants from Germany and Italy. The views of these interns were very insightful and they presented a global prospective of AIESEC. The turnout of the session was impressive which led to a decent number of people applying for AIESEC from FCC. We got about 33 applications from which 4 members and 6 exchange participants were selected. With 2 old members and 4 new recruits, FCC has 6 members in AIESEC among the students of other renowned universities of Lahore. 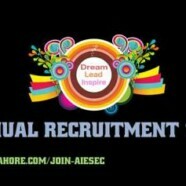 We hope this legacy continues and more members from FCC get recruited in AIESEC in the coming future.